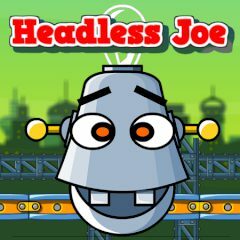 Headless Joe must play a dangerous physics game to get his head back. Help him solve puzzles, collect all his missing bolts and screws, and get him safely to each level's exit. Click and he'll stumble blindly after your mouse, but be careful: Joe might be a robot, but he's still breakable. Don't let him malfunction!